We are offering Socket Fusion Fittings to our clients. Our Socket and Flanged Tee comes with the customary guarantee of the company's meter of excellence. 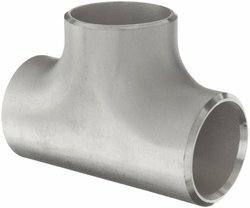 Tee is a T-shaped pipe fitting with three openings used to create branch lines. These are available as per our client's requirement. 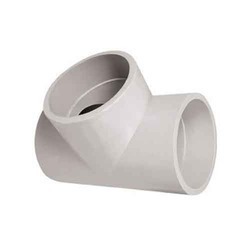 In order to meet the various requirements of the customers, we are engaged in offering a wide assortment of Socket End Tee. - Form: Reducing Tee, Unequal Tee, Equal Tee, Forged Tee, Cross Tee. - Size: ½" to 4"